The Law Offices of Paul J. Duron is one of the top law firms in Norwalk. The award-winning law firm is experienced in providing honest legal services for families during their time of need. We have some of the best attorneys in Norwalk for family law cases that provide aggressive representation in court. Working with a lawyer at The Law Offices of Paul J. Duron is unlike working with any of the other lawyers in town. You’ll get an honest and experienced attorney on your side. Schedule a consultation for your family law case with an award-winning law office today and check out our online reviews. Do you know what a family law attorney can do for you? Family law attorneys are experienced in a number of legal areas to represent your family and help you through the most difficult times in your life. Family law offices handle cases related to the division of property, divorce settlements, child support, spousal support, child custody, and even domestic violence. There are a number of ways that a family law attorney can assist you. If you find yourself in need of a good family law attorney then look no further than The Law Offices of Paul J. Duron. Years of experience have made this law firm exceptionally great at handling family law cases of multiple natures. When you need an attorney that will guide you through the legal process and aggressively represent you in court then contact Attorney Duron for a consultation. It’s time to discuss your family law case. Paul J. Duron is one of the top divorce lawyers in the Norwalk area of California. This award-winning attorney is dedicated to helping individuals in divorce proceedings get the best outcome for their case. Our attorneys are honest and aggressive in the courtroom when fighting for your rights. For the best law firm with excellent reviews, you’ll find none better in Norwalk than The Law Offices of Paul J. Duron. Schedule your consultation today with a divorce lawyer and find out why we’re one of the highest rated law firms in Norwalk! Divorces can be ugly and complicated, particularly in situations where the divorce is being contested. This difficult time should never be attempted alone or without the aid of a good attorney. 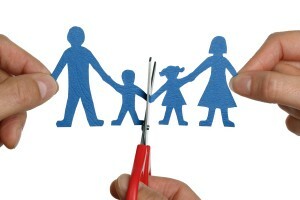 In a divorce, many factors are looked at and there are many assets to divide. If children are involved, you’ll find that the case is even more complex with issues arising from child support, child custody, and visitation rights. You may find that one party should be paying the other spousal support, otherwise known as alimony. No matter how long the marriage lasted, there are legal issues that can make the divorce complicated if you don’t have a qualified attorney to help you. In a divorce case, an experienced attorney can be your best friend. You need someone that understands the legal process and can help you get the best outcome possible for your case. Get in touch with The Law Offices of Paul J. Duron and schedule a consultation to find out more about your options in your divorce case. Our experienced attorneys are standing by and ready to help you through this difficult period in your life! Going through a divorce can be an extremely difficult time, but the aggressive attorneys at Paul J. Duron’s law firm are here to help. Attorney Paul J. Duron is an award-winning lawyer in Norwalk and is ready to help you with your child custody case. Having an honest attorney by your side from one of the best law firms in the Norwalk area is the surest way to get a good outcome with your case. The Law Offices of Paul J. Duron have the best lawyers with top reviews. Make a consultation today and find out how our lawyers can help you with your child custody case! Even in the most agreeable divorces, there can be complications when determining which person gets custody of the child or children. This is particularly true when one parent is planning on moving away after the divorce proceedings. Whether this is to a new zip code or to another state across the country, sharing custody can be difficult. Where will the child spend the holidays? Where will they go to school? There are many factors that go into determining child custody and an experienced lawyer will guide you through your options and help you come to agreeable terms in your case. A child custody lawyer should understand that a divorce involves more than just paperwork and that there is an emotional burden involved with splitting up a family. An honest attorney will be sympathetic to your case and have your family’s best interests in mind. The Law Offices of Paul J. Duron has aided many families over the years in resolving their child custody issues. We’re ready to help you and your family during this difficult time with legal guidance and support. Contact a child custody attorney today for a consultation with Paul J. Duron and get an attorney that cares about you! The attorneys at our top law firm work diligently to ensure the best outcome for your child support case. Our award-winning lawyer has dedicated his life to helping parents with aggressive representation in court to win their child support battles. Rest assured that The Law Offices of Paul J. Duron will never give you the same impersonal treatment as other lawyers and law firms in the Norwalk area. We care about what we do and want the best results for your family. For an honest child support attorney with the experience to represent your case look no further than The Law Offices of Paul J. Duron. Contact us today to schedule a consultation to discuss your child support case. You’ll discover why we have glowing reviews for our legal services! In family law cases, the court may order the non-custodial parent, or the parent that has not been granted full custody, to pay the custodial parent child support. These orders are established in family court. The court will look at multiple factors when determining how much and how frequently child support payments should be made. Additionally, these orders can be amended, or changed, as life circumstances change. Child support may also be granted in cases where the couple was unwed. In some instances, the court may require that paternity be established before assigning child support payments to be made. These situations can get complicated quickly, particularly if the parents of the child disagree with the child support terms. A good child support attorney will help arrange the best terms possible with the court. Each child support case is different. An experienced attorney will have years of working various cases and be able to apply the knowledge to your child support case. Contact The Law Offices of Paul J. Duron today for your consultation with an experienced attorney that can help you with your child support. When couples divorce there is often a dispute over spousal support. In these cases, an experienced law firm with honest attorneys should be hired to reach a resolution. An aggressive lawyer will help clients through the difficult legal process to get the best results in regards to alimony. The Law Offices of Paul J. Duron has received excellent reviews for their spousal support legal services. Our award-winning lawyers work tirelessly to stay one of the top law firms in Norwalk, California! Schedule a consultation with an experienced spousal support attorney today and get started toward winning your alimony case! Some people are unaware that they are eligible for spousal support in their divorce settlement. Often, people without children assume that their spouse would have no financial obligation to them following the divorce. This couldn’t be further from the truth! Spousal support, or alimony, is an attempt to help the person in a divorce that will experience a financial or economic burden after the settlement due to the other spouse being better off financially. There are many things to consider when setting an amount for alimony. The court will look at the age of the person and their physical and emotional state. They will also assess their finances and determine how long, if ever, it will take for the divorced spouse to become financially independent. This is where an experienced spousal support attorney comes in. A spousal support lawyer will ensure that you receive fair alimony payments in the wake of the divorce and guide you through the legal process. Contact The Law Offices of Paul J. Duron and discover your options for spousal support. The Law Offices of Paul J. Duron is home to one of the top rated attorneys in Norwalk, California for child visitation legal services. Our award-winning law firm provides aggressive representation in court. Attorney Paul J. Duron is dedicated to maintaining his status as one of the best family lawyers in Norwalk with a passion for assisting his clients in their time of need. The reviews for Paul J. Duron’s honest work are extremely positive! This dedicated lawyer cares, makes sure his services stand apart from all of the other law firms in the area. Contact The Law Offices of Paul J. Duron to discuss your child visitation case with an experienced family law attorney today! Child visitation cases can be complicated. This is particularly true when there is significant distance between the interested parties and even more so when the parents disagree with each other. These types of cases can be emotionally upsetting. No matter what, the court will always attempt to put the best interest of the child first when determining visitation. It’s up to the parents to present their case and persuade the court to agree to their child visitation terms. This is where an experienced family law attorney comes in. A child visitation lawyer will represent you in the courtroom and negotiate on your behalf for fair child visitation terms. A good lawyer will have the family’s best interests in mind and will help by guiding you through the process of establishing child visitation. Child visitation can greatly impact your life, and this is never a case to be taken lightly. The Law Offices of Paul J. Duron have helped many families over the years in their child visitation cases and can help you with yours, too. Contact The Law Offices of Paul J. Duron to set up an appointment for a consultation and find out about your child visitation options today.